Often, cancer-causing mutations cluster in “hotspots” where tumors from different patients harbor the same recurrent mutation. Some hotspot SNVs may occur frequently, while others are rare. For example, the BRAF V600E mutationoccurs in 40% of all melanomas, while the BRAF L597S mutation occurs in <1% of all melanomas. 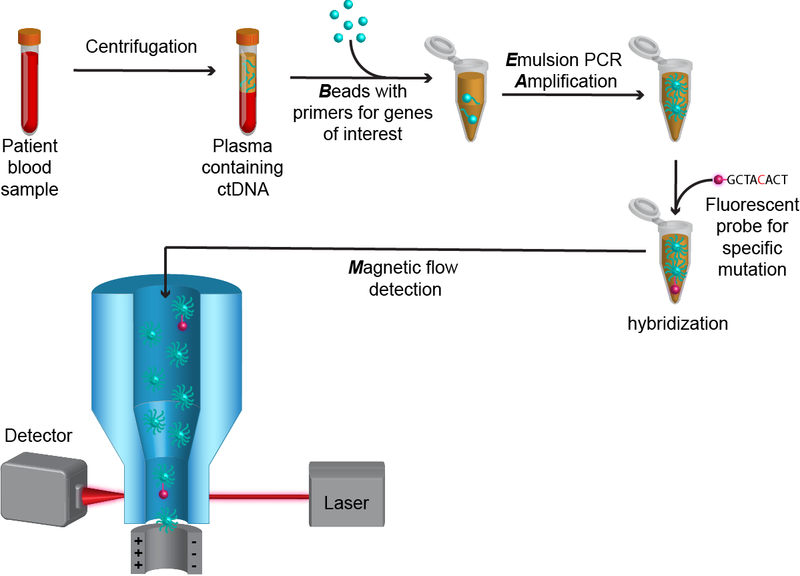 Tests for molecular profiling of tumors range from simple to complex. The simplest tests detect only one type of mutation in one gene, such as an SNV. An example is a test that looks for only the specific T to A substitution mutationat position c.1799 of BRAF, resulting in the amino acid substitution of glutamic acid for valine (p.V600E) in the protein. The V600E mutation is commonly observed in melanoma. Conversely, the most complex tests can simultaneously detect all the major types of gene alterations, including substitutions, duplications, insertions, deletions, indels, gene copy number variations, and structural variants, including inversions and translocations. An example is a test offered by Foundation Medicine, called FoundationOneTM, which tests for mutations in about 322 genes commonly altered in cancer. Whole genome sequencing (WGS) will also detect the four main types of gene alterations, providing a comprehensive analysis of the 20,000+ genes in the human genome.